Well, today I want to show you how you can make a cute skirt without a pattern. Is an easy trick that will help you to make a skirt even if you are new to crochet. 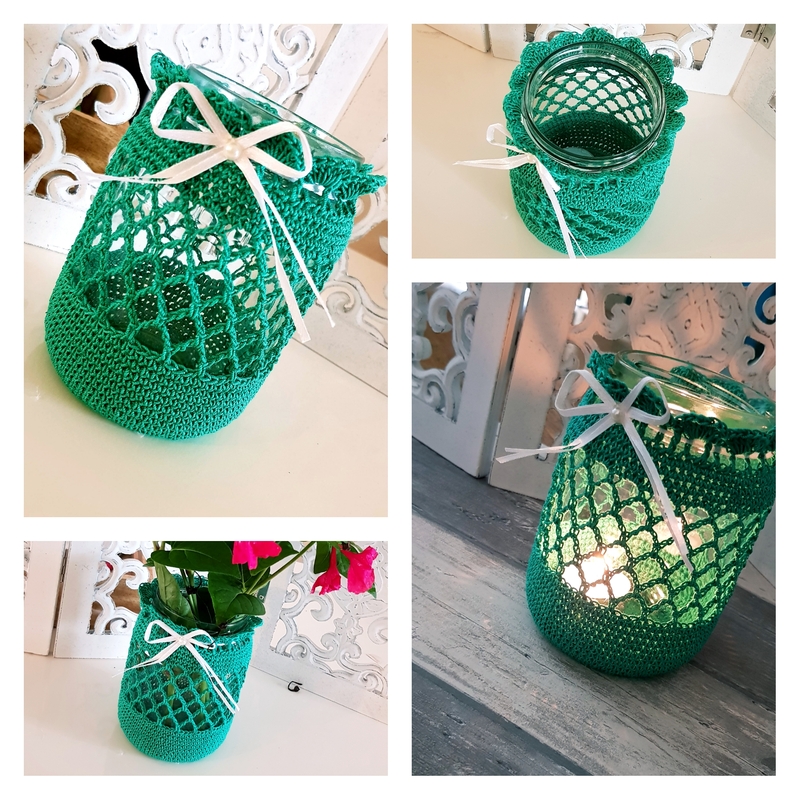 This cute little project is just about crochet. Don’t have to count or to think in how many rows you will have to increasing. Just one measurement at the beginning and then just relax and crochet. Measure the waist or look in a chart for the waist dimension for the size that you want to make the skirt. Cut an elastic band to have with 2 cm (approximate 1 “) less than the waist length and sew the ends. From now is all about crochet. You will work in rounds and on the first row you will have to cover the elastic band in single crochet. Insert the hook under the elastic band, yarn over and grab the loop from back to front underneath the elastic band. You have now 2 loops on your hook and it’s in front of the elastic band. Now, all you have to do is to yarn over and finish the single crochet. You will have to single crochet all over the elastic band until you have it all covered. For this step I used a smaller crochet hook then the rest (2.5 mm). The idea here is to have a lot of single crochet so you have nice ripples when you finish the skirt. If the yarn is too thick, on the next row you will have to increase. We are on row 2 and here we will make 1 single crochet in each stitch all around. If you work with a thicker yarn, on this row make 2 sc in each stitch. This is the last part. Now choose a stitch that you like and make as many rows as you need until you get to the desired length. For this tutorial I used a simple granny stitch. If you want to choose a stitch that requires a certain amount of stitches you will have to pay attention on the first row. On the granny stitch, a multiple of 5 stitches is required but I didn’t count the stitches, I just adjust the number of stitches at the end of the 3rd row ( instead of 2 stitches at the end, I skipped 4). And this is how you can make a cute skirt without a pattern. Pretty easy isn’t it? Bellow you have the video tutorial to have the visual instructions too. Hope you will find it useful. Brilliant! Thank you. I am old, I hate doing the math! That’s why, now, I only work with patterns. ?